I'm sketching out a design for my large canvas and was curious why Marigolds are the chosen flower in Dia de los Muertos art. Of course, I have to look it up. During the 3 day celebration, families clean and decorate the graves of their ancestors. The Decorations are offerings or "ofrendas" which include orange marigolds called "cempasúchitl". In Nahuatl, an Aztec launguage, they were originally named "cempoalxochitl", for "twenty flowers" or "Xempa Xochitl" for "dead flower". The marigolds are flowers of the dead (flor de muerto) and their scent is thought to attract souls to the offerings and back to earth. 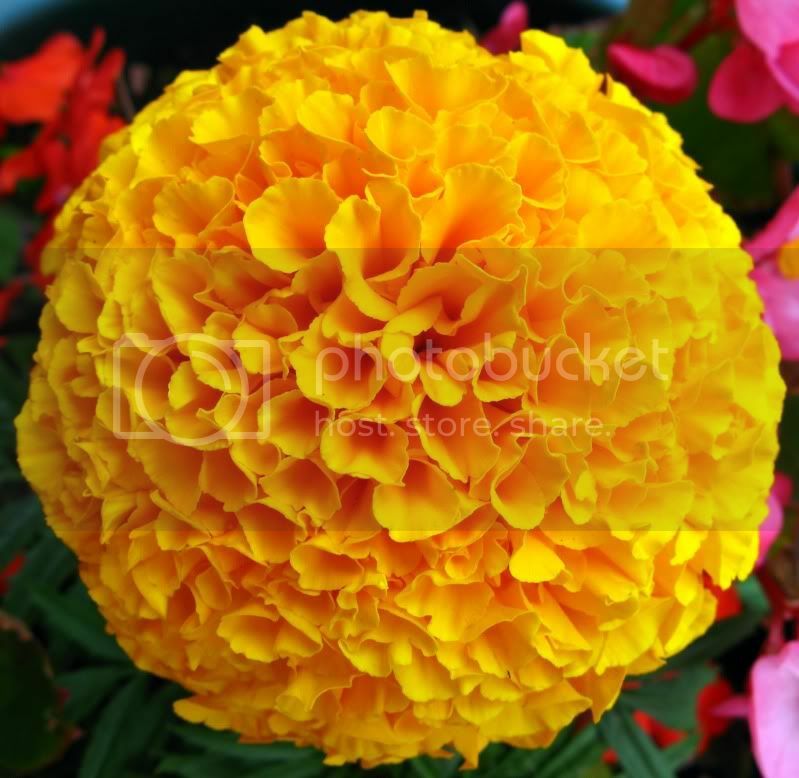 The marigolds symbolize the sun's rays. The sun is the origin of all living things, the marigold symbolizes that the deceased has not lost their place in the universe. This is a Teacher's reference on Day of the Dead that has a lot of great information on the history and customs of the holiday as well as projects, references and lessons to help students better understand the holiday. After looking up all this info, I find it funny that I used to give these to my mom every mother's day when I was in elementary school. I think that might be more likely due to the fact my elementary school was right beside a green house and marigolds are inexpensive.